This page explains how the British Hen Welfare Trust (BHWT) as a Data Controller, processes your personal data. If you have any concerns regarding our use of your data please contact us by emailing info@bhwt.co.uk or calling 01884 860084. All data captured and held will be processed in accordance with the General Data Protection Regulation. The BHWT processes personal data in order to meet the legitimate interests of the charity. You can read more about this in our About Us section. We rely on our supporters and donors to fund the charity so we can continue to save hens. 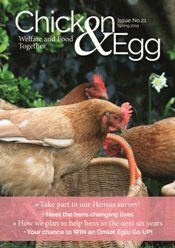 We use your data to keep you abreast of charity progress and to contact you with any hen-related news and appeal for funds to continue our life-saving work. The BHWT also processes personal data of our volunteers under their consent. When you contact us, for example when registering for hens, making a donation, accessing our website, purchasing from our shop etc, we collect and process personal information about you. This includes your name, postal address, email address, telephone numbers and financial details. We do not process any special categories of information about you. We will only communicate with you according to the preferences you specify. If you would like to discuss or change your preferences at any time please email info@bhwt.co.uk or call 01884 860084. In addition to the above, we collect information automatically about your visit to our website. Please see our About Our Cookies page for more details. We keep your information for as long as you are a supporter. When you make a donation we have to retain your information in line with financial regulations. If you have rehomed hens we are required by DEFRA to retain your contact details so that we can contact you in instances such as an Avian Influenza Outbreak. We will not further disclose your information unless we are required to by law. Volunteers have the right to withdraw their consent. 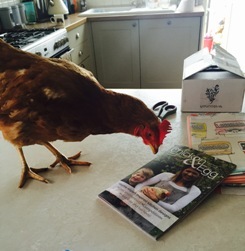 Writing to us: The British Hen Welfare Trust, Hope Chapel, Rose Ash, South Molton, EX36 4RF. The BHWT ensure we and the third parties we use have appropriate technical and organisational measures in place to protect your information. When processing your payment information, BHWT and any third parties are Payment Card Industry compliant. We sometimes collect credit and debit card information via the post if you make a donation using one of our appeal forms. After securely entering into our systems we immediately destroy any paperwork containing such information. Gift Aid forms over six years are also destroyed in accordance with HMRC rules. There are steps you can take to protect your personal data such as using only using devices with malware protection, and by only using networks you know to be secure and which you trust. The BHWT will do its best to ensure all the information on this website is accurate; however anyone who relies on the information contained on this site does so at their own risk.